Nature Notes: It’s a bee! It’s a bird! It’s a … moth? In this slow-motion video, you can really see the hummingbird moth's wing pattern and wing beats. Turn up the volume and you may be able to hear the hum! If you have a patch of prairie flowers, especially bergamot, keep an eye out for what, at first, might seem like a very large bumble bee or a very small hummingbird! Although only half the size of a hummingbird, the hummingbird moth closely resembles its feathered namesake with long wings, a robust body and even a short “tail” that fans out the way a hummer's does. Similarly, it makes an audible hum as it flies and has similar feeding behaviors — instead of landing on flowers it hovers and feeds on their nectar with its long tubular “tongue” or proboscis. The hummingbird moth (Hemaris thysbe) is a type of sphinx moth, which are known for their large, heavy, furry bodies. While most sphinx moths are active at night, fortunately for us this species is day-active. So not only are we more likely to spot one but we can actually enjoy its striking appearance. These moths are beautiful reddish color on their wings and lower backs with olive-colored upper backs. Hairs on their wings cover only the veins and wing edges, leaving the membrane between the veins completely transparent (hence their other common name: "clearwing moth"). The hummingbird moth is the most common of the Hemaris genus in North America, the other being the snowberry. While neither are rare or unknown, it's a treat to see these fast-moving, beautiful creatures up close. Favorite flowers of the hummingbiord moth include bergamot, vervain, phlox and honeysuckle. These are great species to support sphinx moths in your yard, just be sure to buy native plants. Some honeysuckle bushes sold in conventional nurseries are exotic invasives that spread into natural areas. 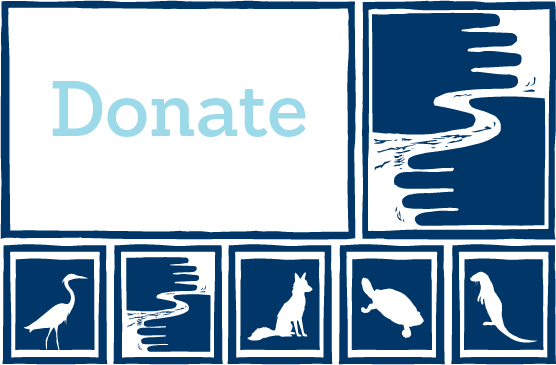 Please don't buy anything that FMR volunteers or work crews end up having to remove from our restoration sites! Landscape Revival has compiled a great list of native growers in the metro area. Hummingbird moth caterpillars eat leaves from a variety of plants including snowberry, honeysuckles, blueberries, different viburnum species, and members of the rose family (hawthorn, cherry or plum). When fully grown, they spin a loose cocoon and then pupate over winter in the leaf litter — another good reason for gardeners to not clean up leaf litter from the garden! Adult moths emerge in late spring or early summer when warm-season flowers are in bloom. To help protect habitat for the hummingbird moth and other local pollinators, join an upcoming FMR habitat restoration event or sign up for Mississippi Messages to receive calendars of upcoming events in your inbox. 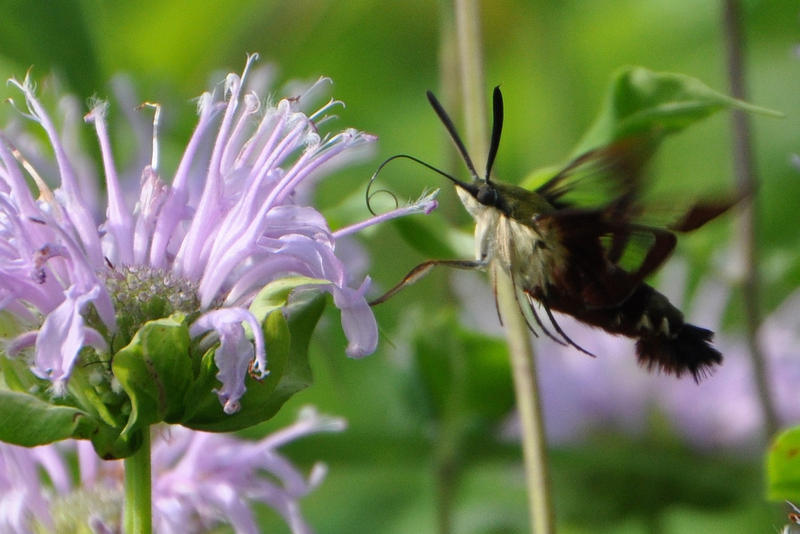 • Learn more about hummingbird moths from the U.S. Forest Service and Audubon Massachusetts. • Learn more about native Minnesota moths from Conservation Volunteer (Young Naturalists feature), or for help identifying moths, visit InsectIdentification.org.